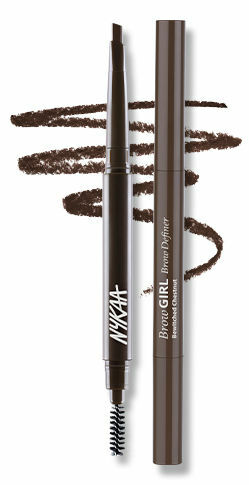 Ace the brow game with Nykaa BrowGirl Brow Definer. Its custom, tear-drop shape tip helps you to effortlessly fill and define brows, no expertise needed! 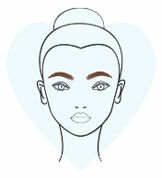 With a built-in spoolie, you can easily shape and groom your brows into place. 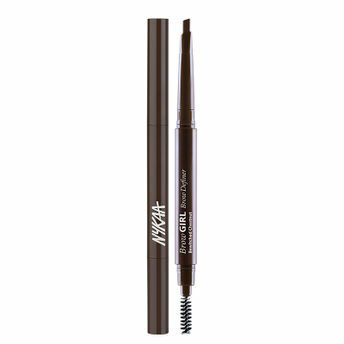 Specially formulated with Argan oil and Vitamin E to keep your brows nourished, this easy-peasy definer provides you enough waxiness to give you naturally fuller-looking brows. Great brows have never been easier! 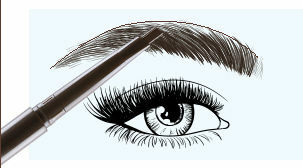 Use the spoolie end to brush the eyebrow hair in the direction of hair growth. 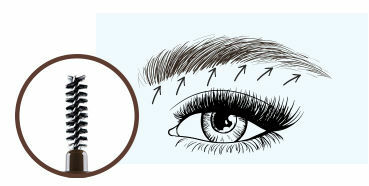 Use the tear drop shaped tip tooutline brow and define arch. Start in with the arch and lightly feather the strokes to the tail. 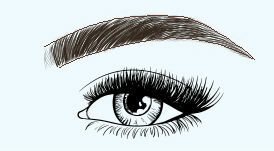 Outline the lower lining first and then go all the way to the arch to the tail of the brow. The tear drop shape helps get perfect angular strokes. Use the spoolie end to blend in the colour and get desired shape. shape for your face shape! Almost all brow shapes suit an oval shaped face, but try to avoid making brows too angular, keep the characteristics soft for a more flattering brow. The best way to shape brows on a round face is to keep the brow soft and slightly curved .A little extra length on the tails creates the illusion of a longer face. 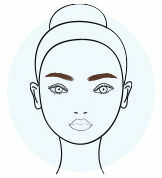 Keep the brows straight to avoid adding extra length to the face or you can opt for a higher arch but lower the front of the brow to keep the arch in its natural place. 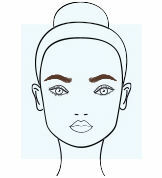 This gives the illusion of a wider forehead, while angular shapes flatter the naturally angular features. Square shape has strong angles as compared to soft curves. 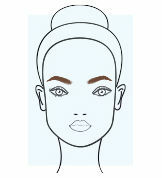 The brow shape should be kept angular so to not contradict the natural face shape. 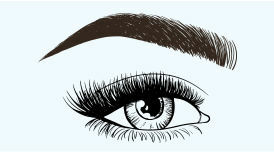 A softly shaped brow with a slight curve will look the mostflattering to this shape. 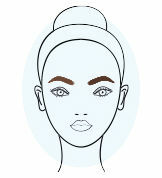 Keep the length of the brow short and fronts of both the brows should be closer to draw attention to the middle of the face. Explore the entire range of Eye Brow Enhancers available on Nykaa. 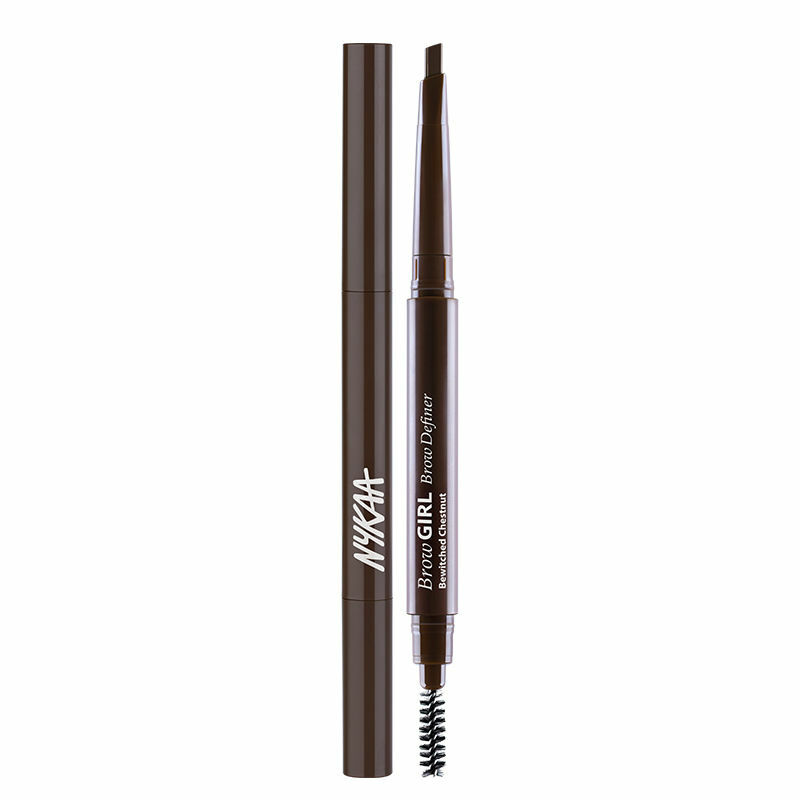 Shop more Nykaa Cosmetics products here.You can browse through the complete world of Nykaa Cosmetics Eye Brow Enhancers .